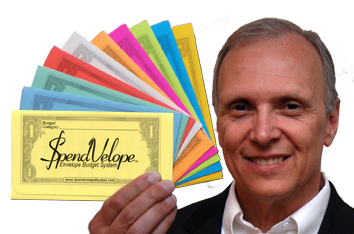 The Envelope Budget System was a depression-era, cash-based method families used to control spending. On pay day cash was set aside to make purchases and pay bills. Each expense category had an envelope filled with a designated amount of cash. As needs arose money was spent from the appropriate envelope. When an envelope was empty, spending stopped. Dave Ramsey has breathed new life into the envelope system. Thousands of families have used Dave’s method and Deluxe Envelope System to gain control of their finances and grow wealth. ___…constructed of 65#, heavy-duty cardstock. ___…more durable than Dave’s 20#, light-weight envelopes. ___…come in ten delightful colors. I love Dave Ramsey, but I don’t like his budget envelopes. They are too small and flimsy! That’s why I created SpendVelopes. In only 13 months, using Dave’s plan and and our SpendVelopes, my wife and I paid off $18,785 in credit card debt.